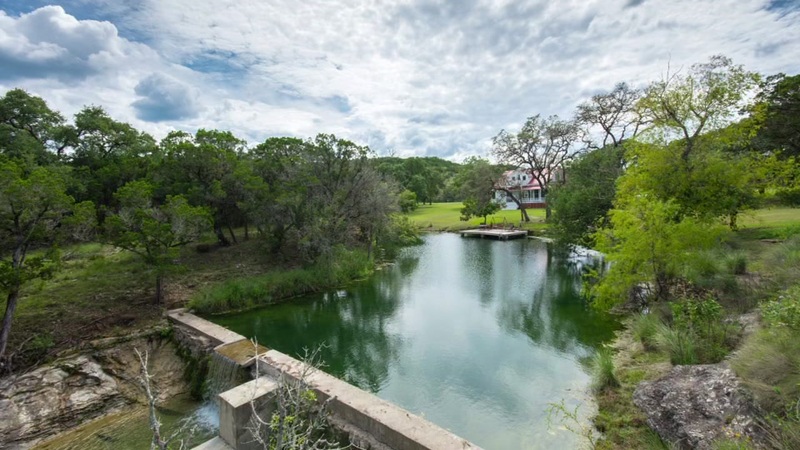 An amazing Hill Country ranch near the popular Wimberley area is up for sale for just under 5-million dollars. 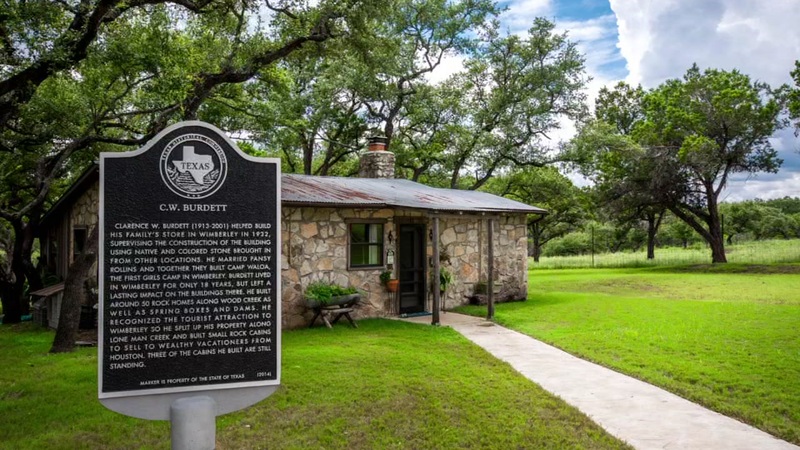 If you like beautiful scenery, wildlife and appreciate historic homes and cabins, this is the place for you. 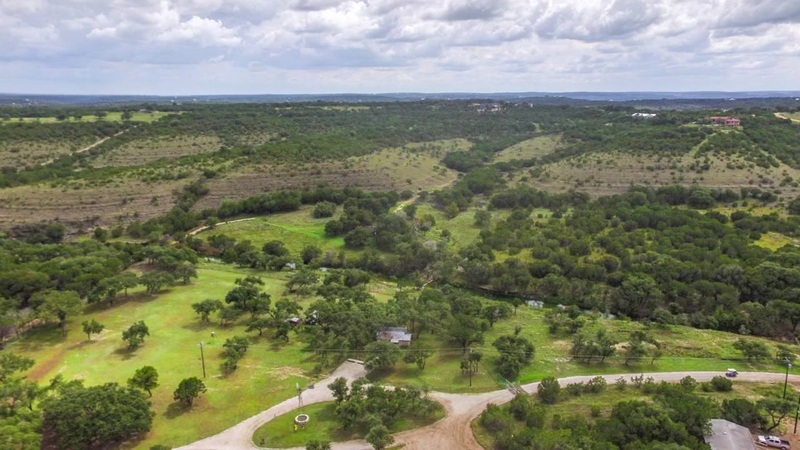 Here's how DMTX Realty describes the 131-acre property. 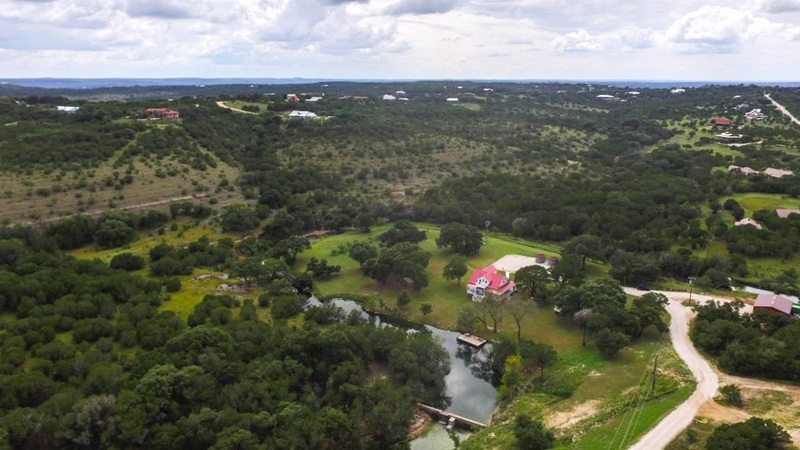 This amazing Hill Country ranch has just become available. 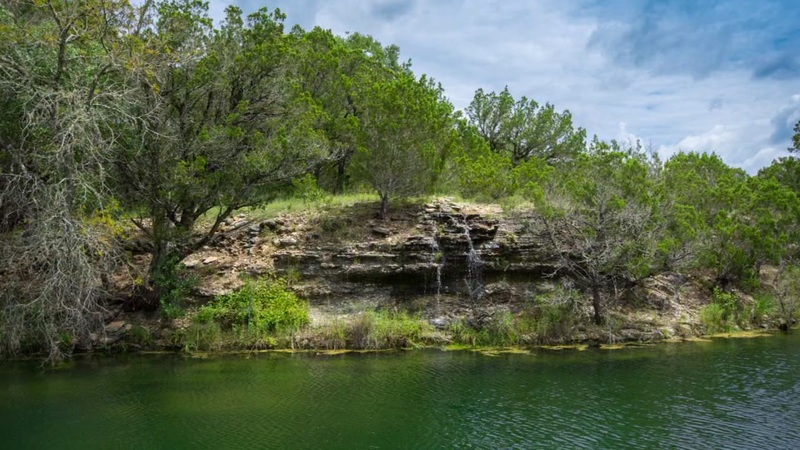 Located between Driftwood and Wimberley, TX, this is one of the most prime parts of the Hill Country. 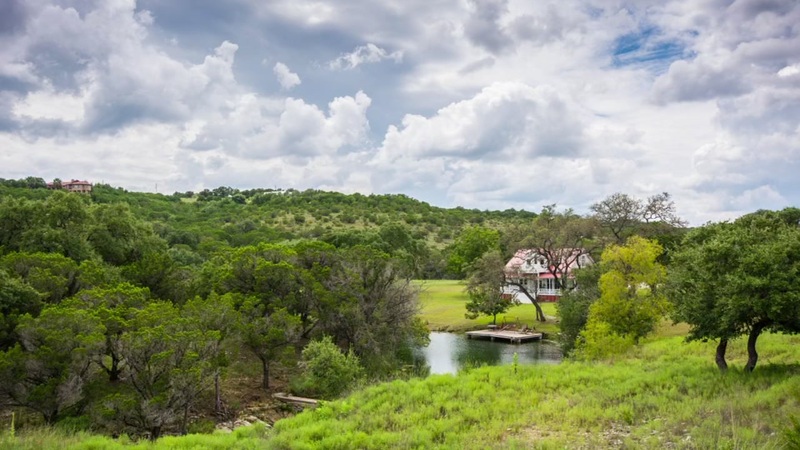 At 131 acres, this ranch offers it all. 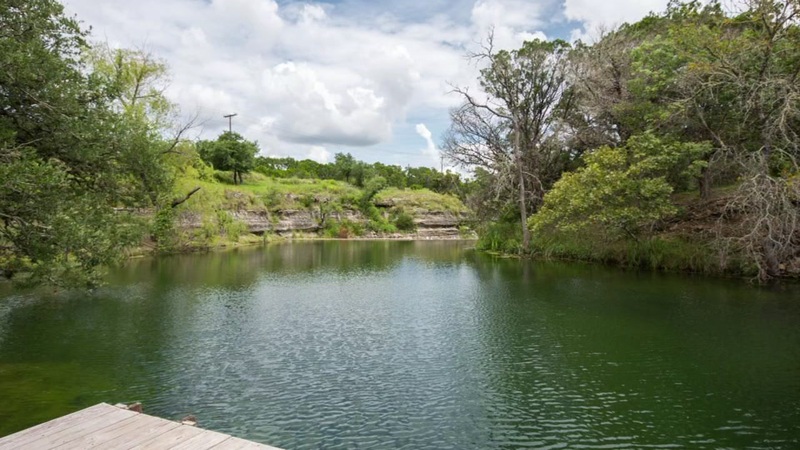 It has Lone Man Creek waterfront with 5 dams, creating a great water feature. 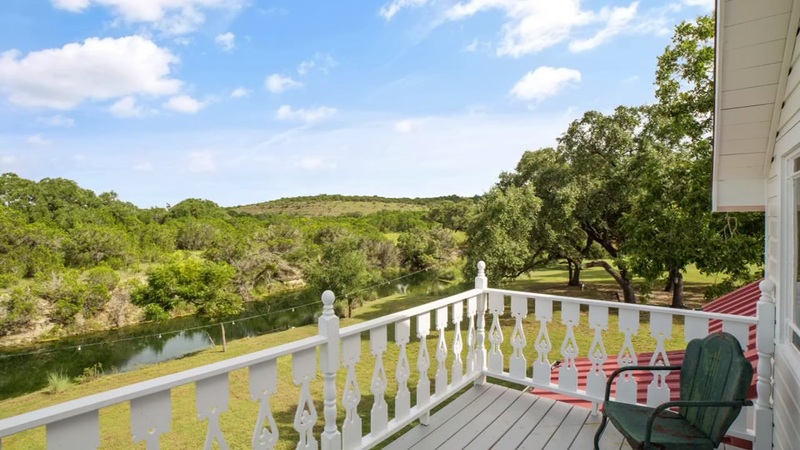 The terrain is varied, with level areas, gently sloping hills, and big elevations that offer outstanding views of the countryside. 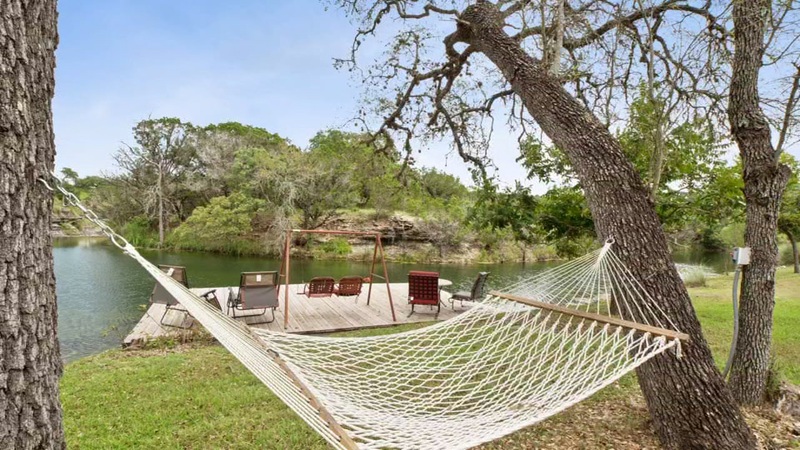 Large, towering oak trees are present everywhere and native wildlife abounds. 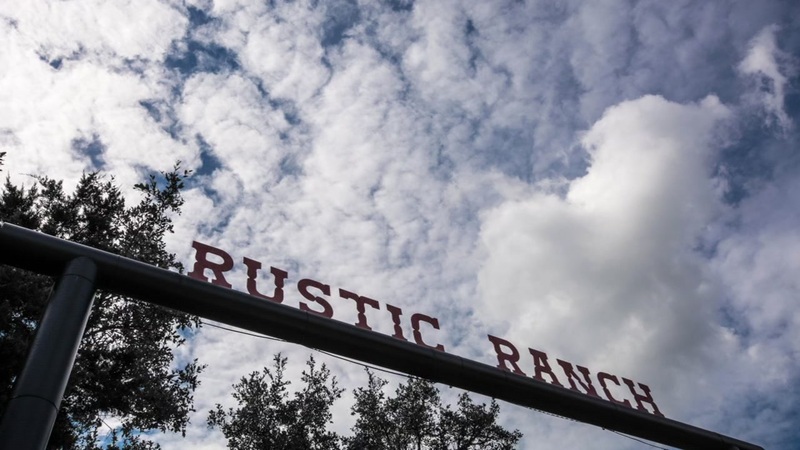 The gated ranch is currently set-up as a very successful event & wedding venue. 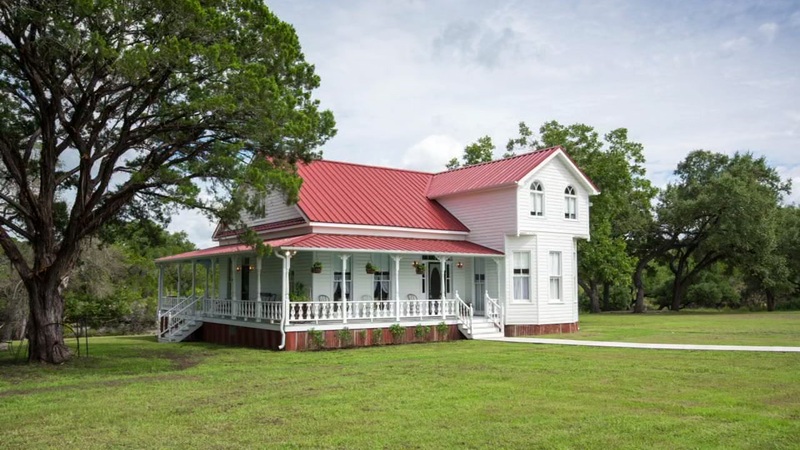 This portion of the ranch has a great manicured and rustic feel, and offers a banquet hall, a bar, a log cabin, office, and classic ranch house which serves as the bridal cottage. 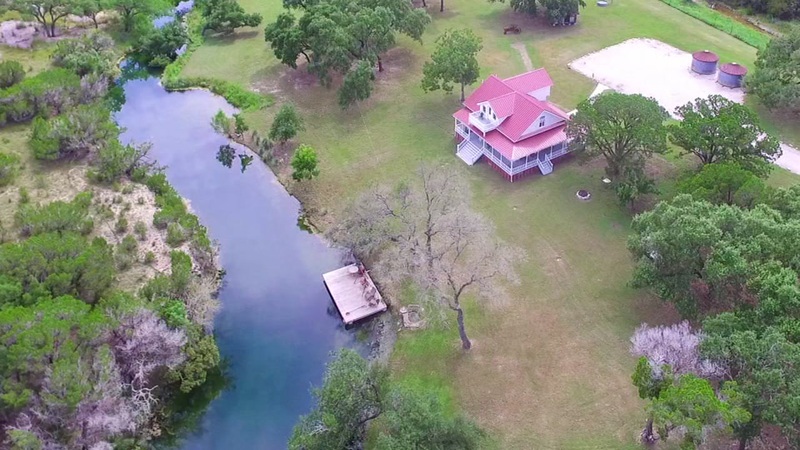 An incredible setting has been orchestrated, with most wedding ceremonies taking place underneath an incredible oak tree nearby. 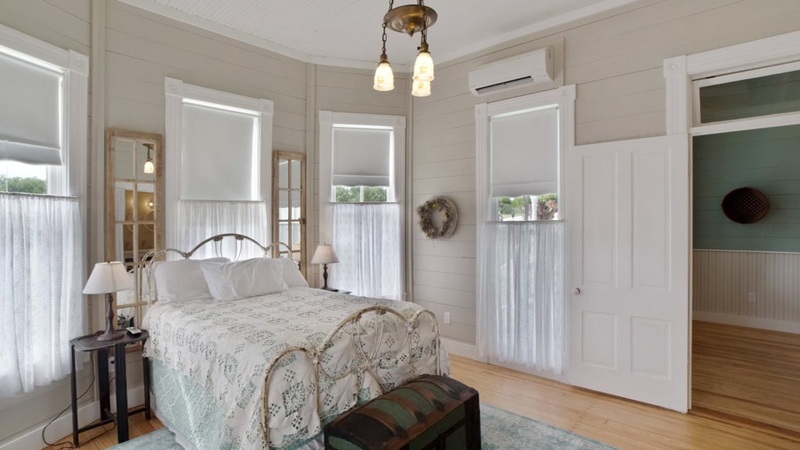 The bridal cottage is perched on the hill overlooking the lawn and banquet hall. 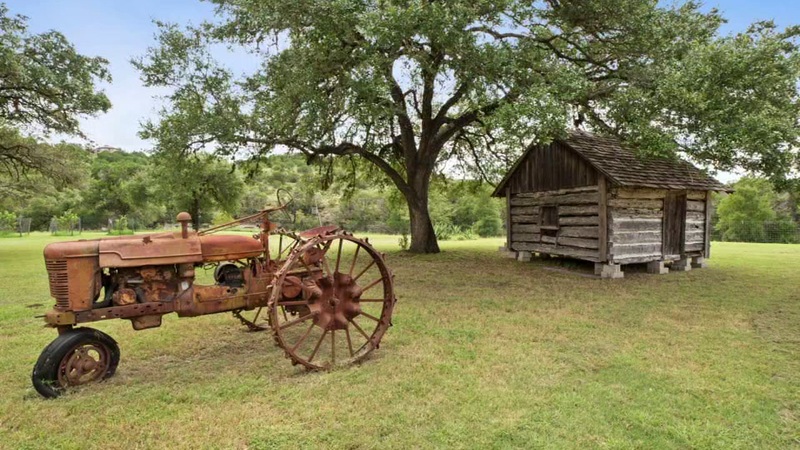 Built in 1908, it was originally from Victoria, TX, and transported to the ranch. 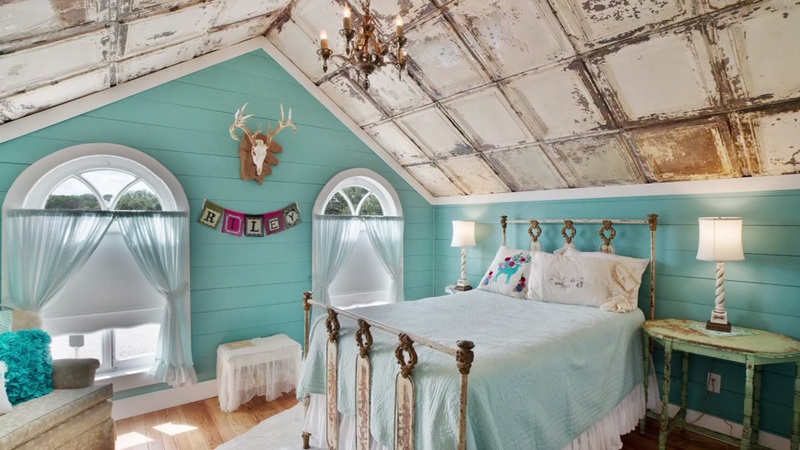 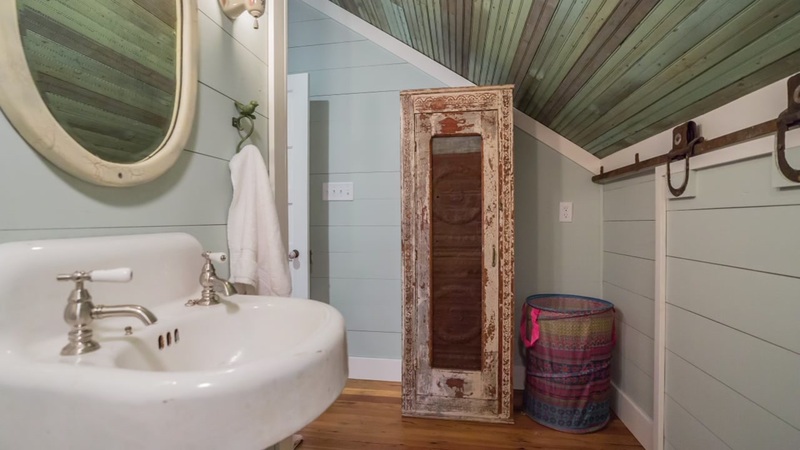 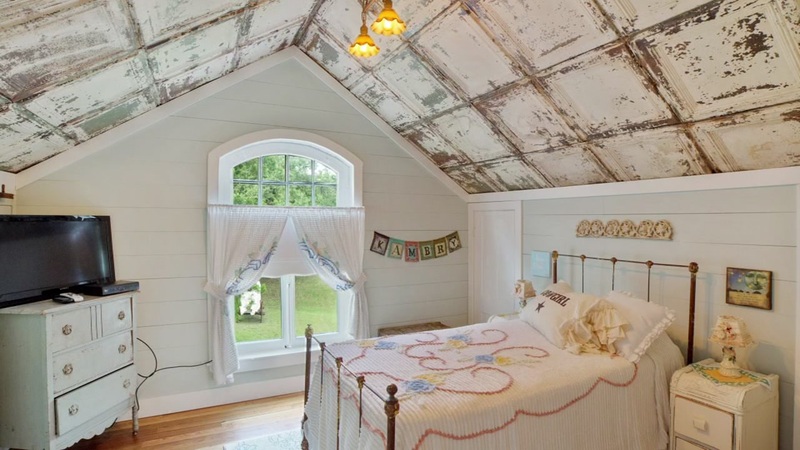 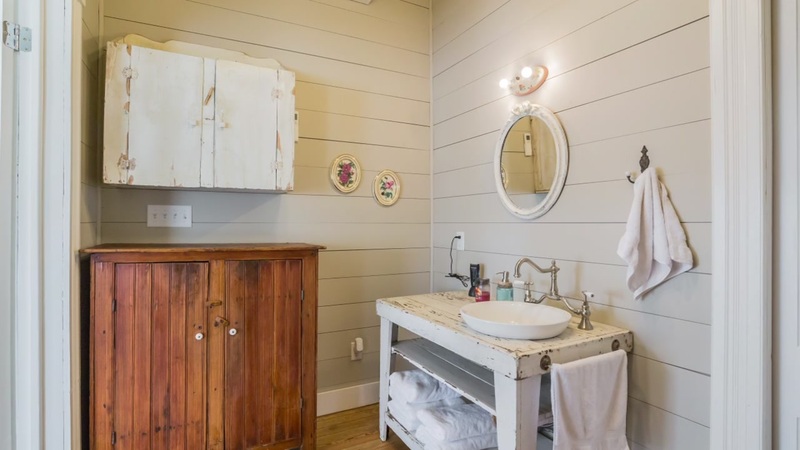 A great attention to detail has been incorporated to enhance the integrity of the home, with antique furnishings, claw foot tub, and shabby chic decor inside. 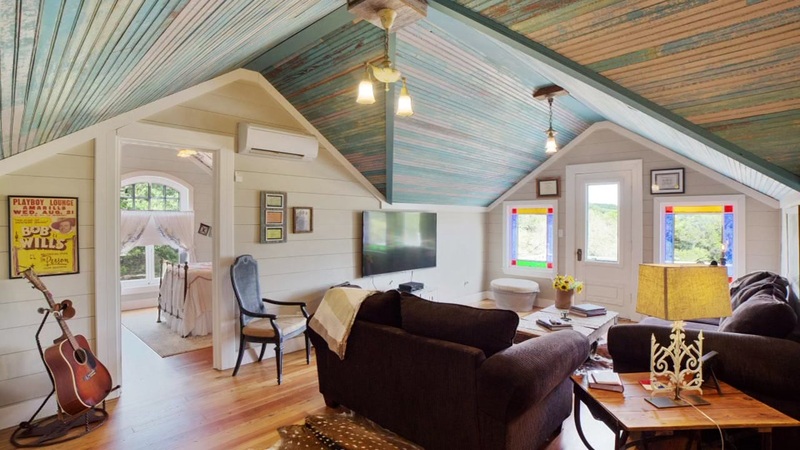 The log cabin, which also serves as the groom's cabin during wedding events, was built in 1800's and comes all the way from Pennsylvania, and has all the original wood. 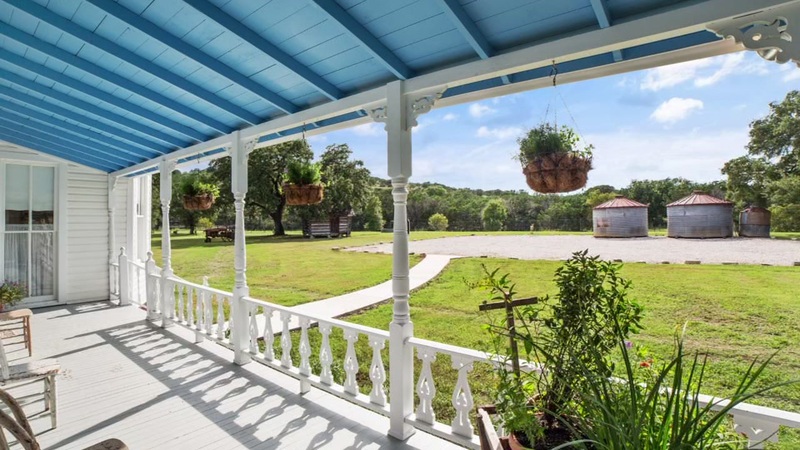 Both sides have covered porches perfect for relaxing, with the north side looking down to oak grove. 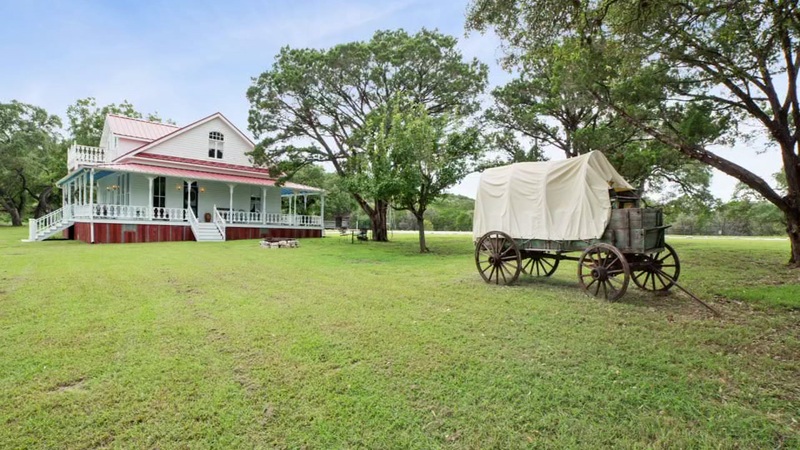 The banquet hall and bar is an impressive structure. 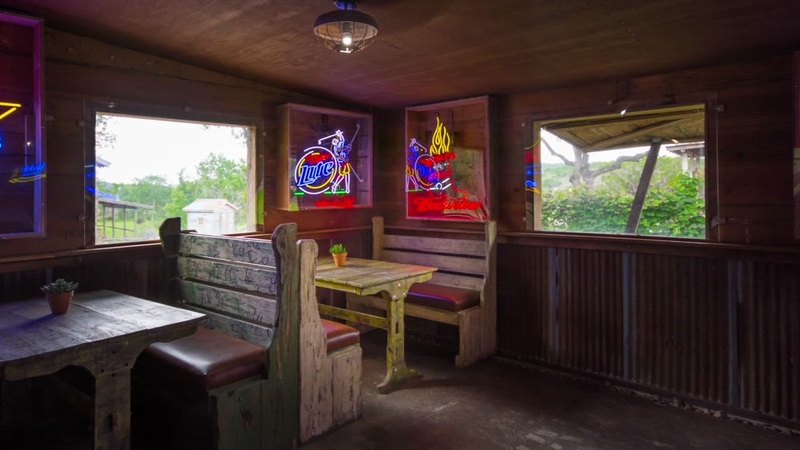 The bar has the feel of an old Texas saloon, with the owner enhancing with great custom touches such as bar stools made from horse saddles and wheel chandeliers. 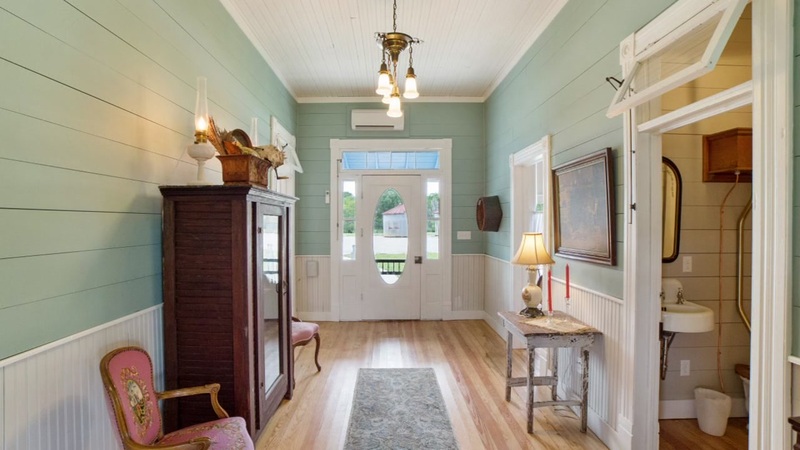 The banquet hall area seats 150+, with greater capacity for standing. 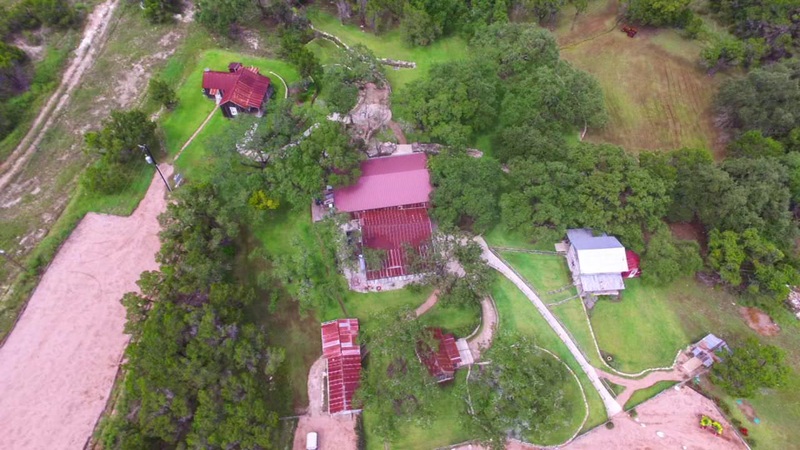 There is far more to the ranch though. 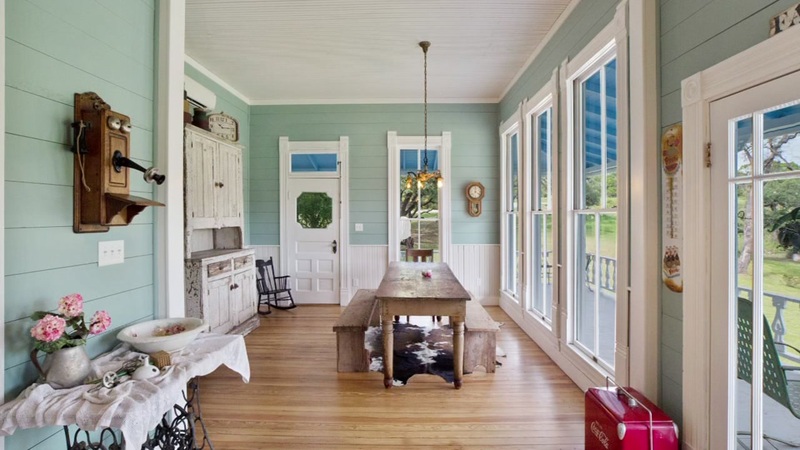 To the south of the ranch is an 872 square foot historic ranch home, renovated and originally built in 1940. 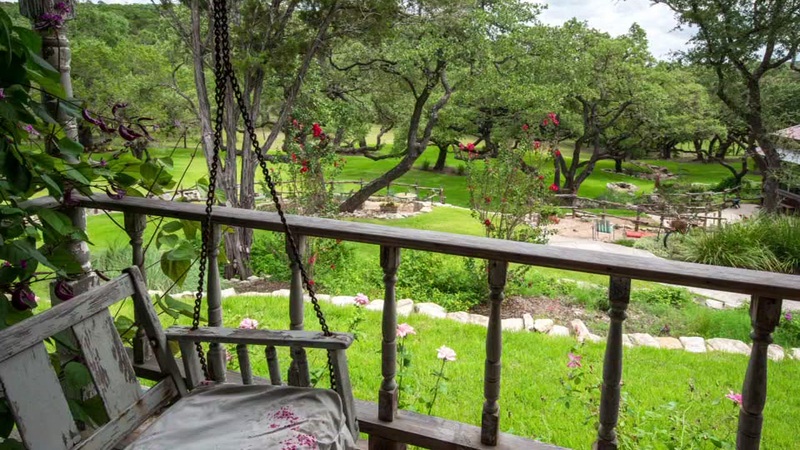 A great screened porch looks down towards Lone Man Creek. 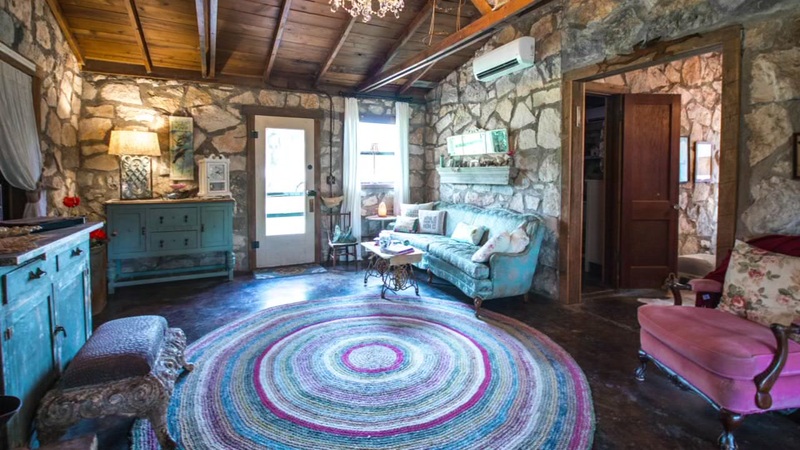 This currently serves as the ranch foreman's quarters. 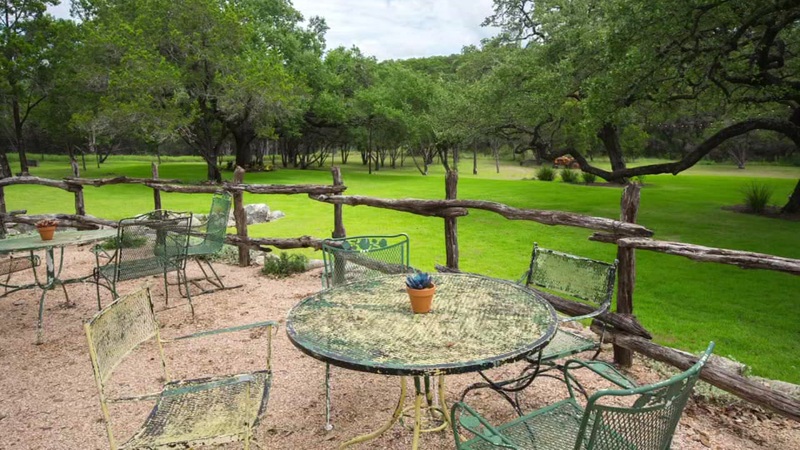 Moving west through the ranch, there is another gated entrance, leading to the main home. 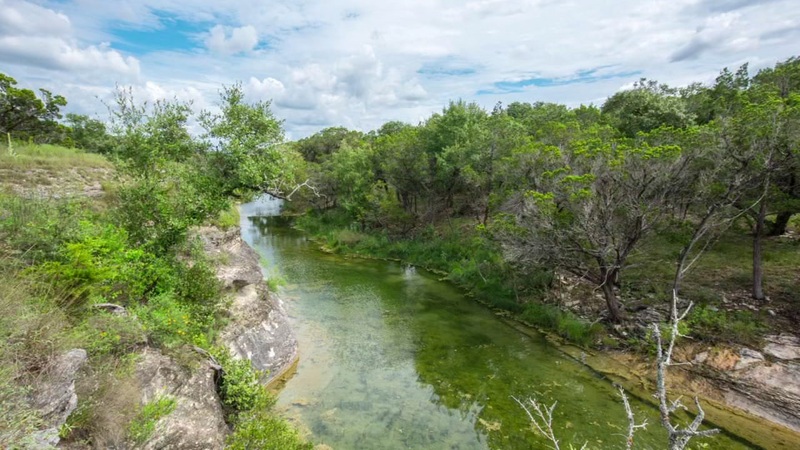 This is a beautiful, historic area located around the horseshoe in Lone Man Creek. 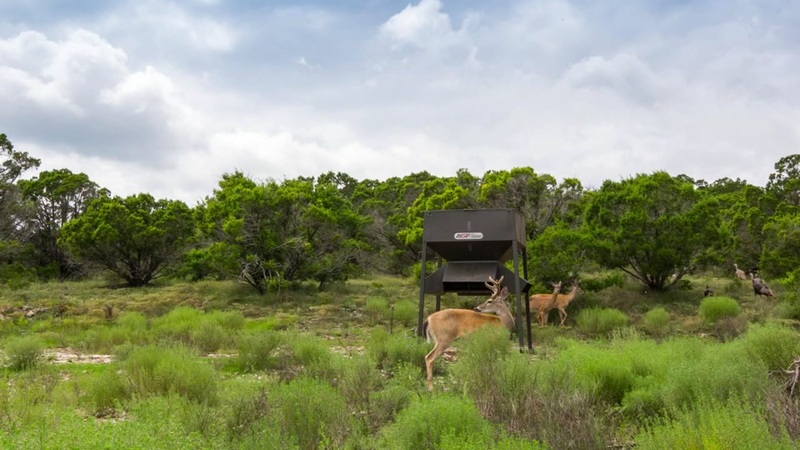 The ranch is high-fenced, with a wealth of wildlife in this portion of the property including big whitetail buck and turkey. 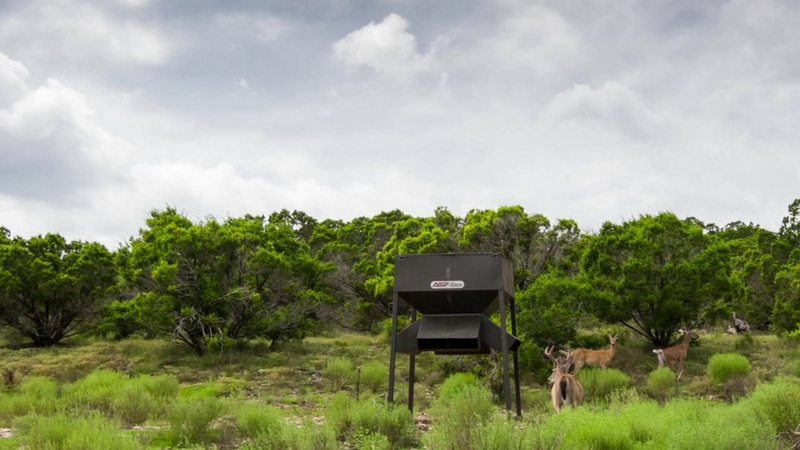 In fact, the owner has over $100,000 worth of improved genetics white-tail deer on the property. 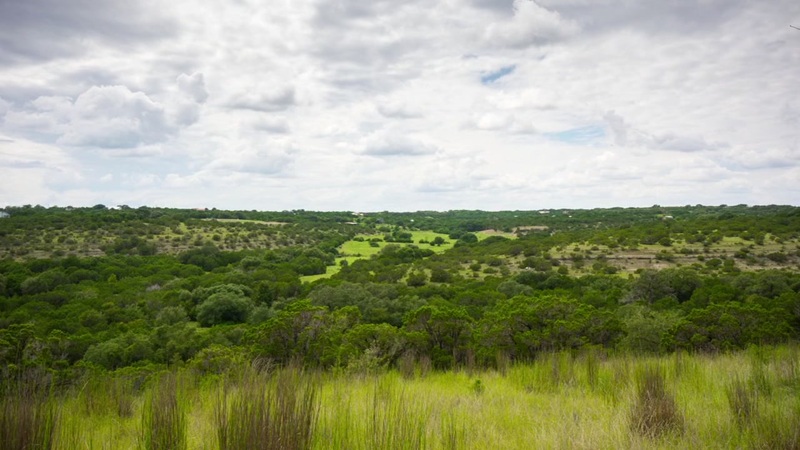 An AG exemption is in place making for lower taxes. 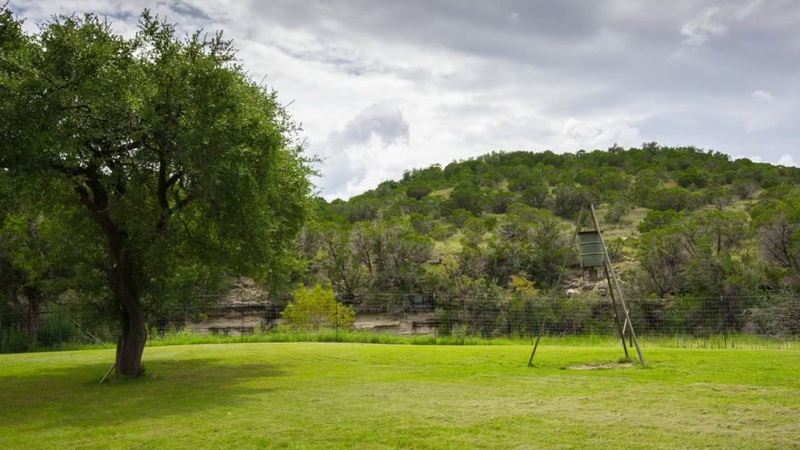 The beautiful Lone Man Creek horseshoes around the main home, creating a picturesque backdrop with the banks leading up to the home. 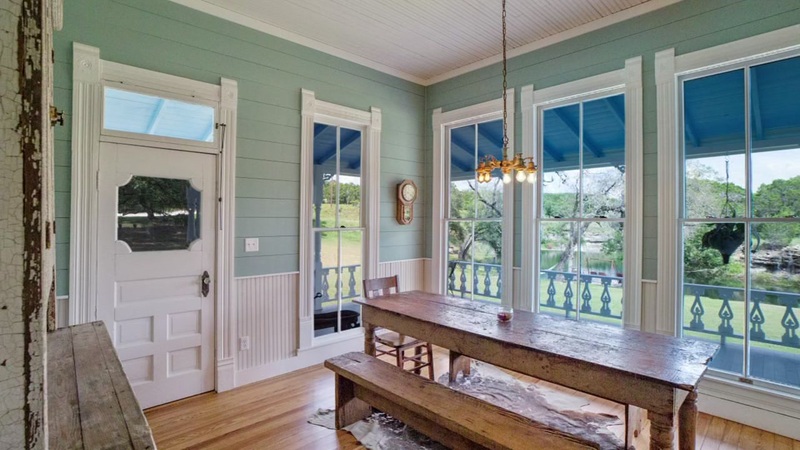 The owner has a passion for historic homes, and had the main home transported from New Braunfels, TX. 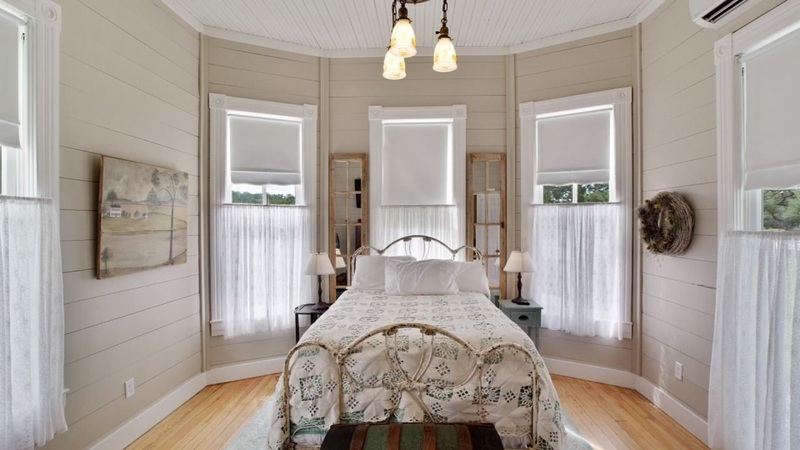 Built in 1905, The 2,200 sq ft house has had an intricate, total historic restoration, restoring it to its original beauty. 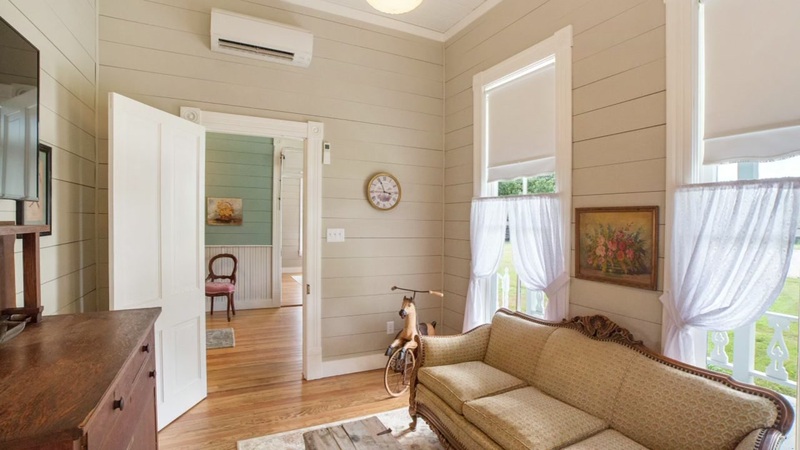 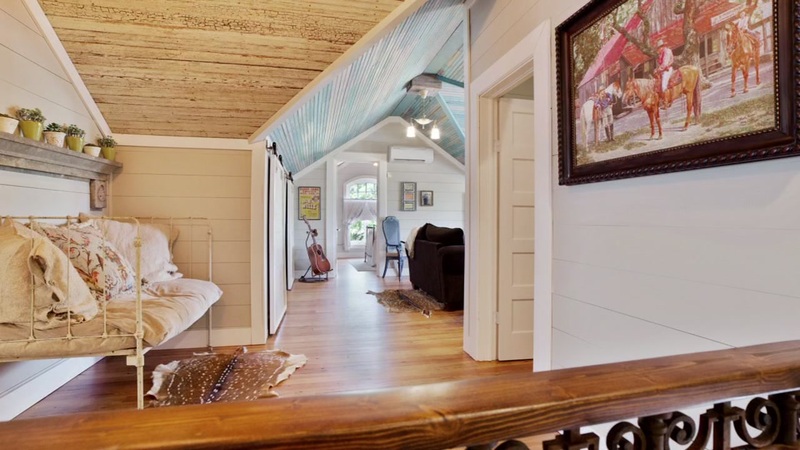 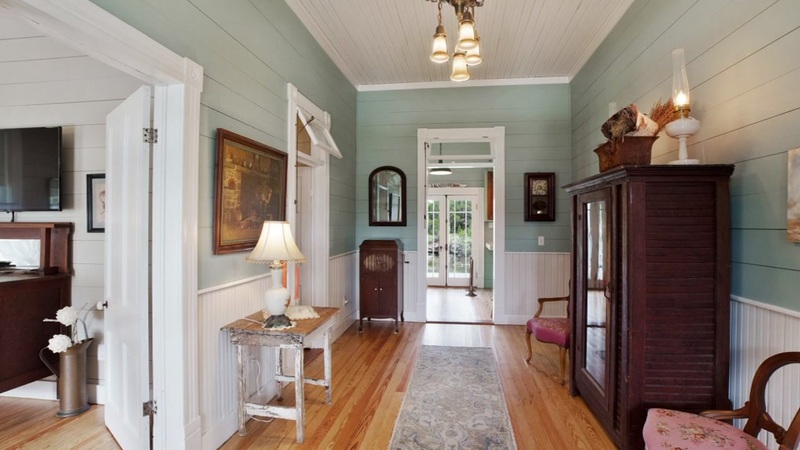 An amazing, original wrap-around porch winds around the exterior, with tasteful trim. 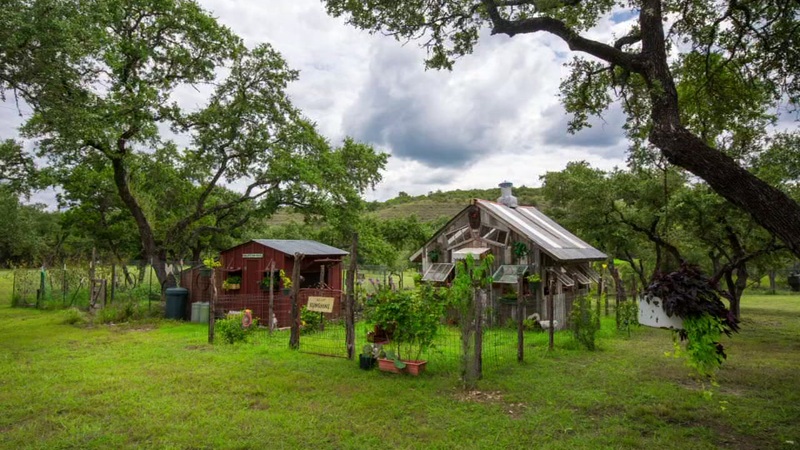 There are several barns and outbuildings throughout the property, as well as several feeders. 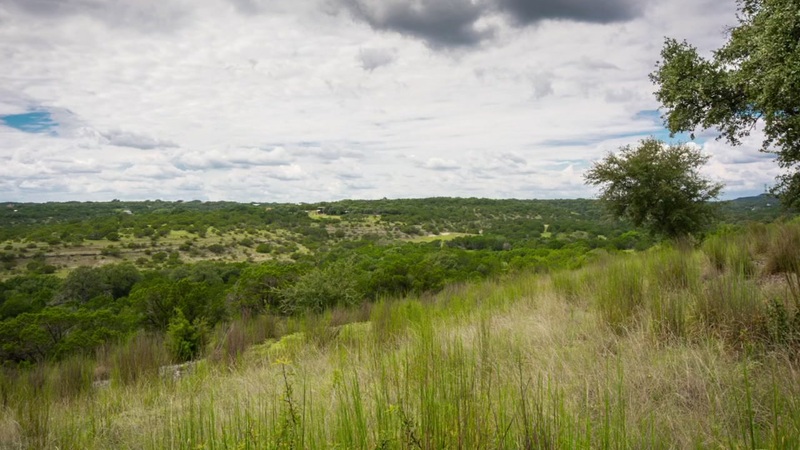 The northern portion of the property has strong elevations with stunning views for miles of Wimberley countryside and rolling hills. 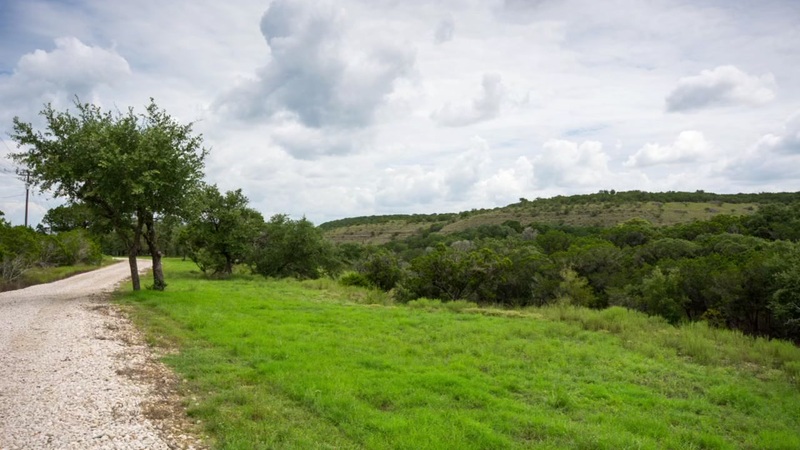 This is a great opportunity to own a premier Hill Country ranch, while already having everything set-up for an income-generating operation. 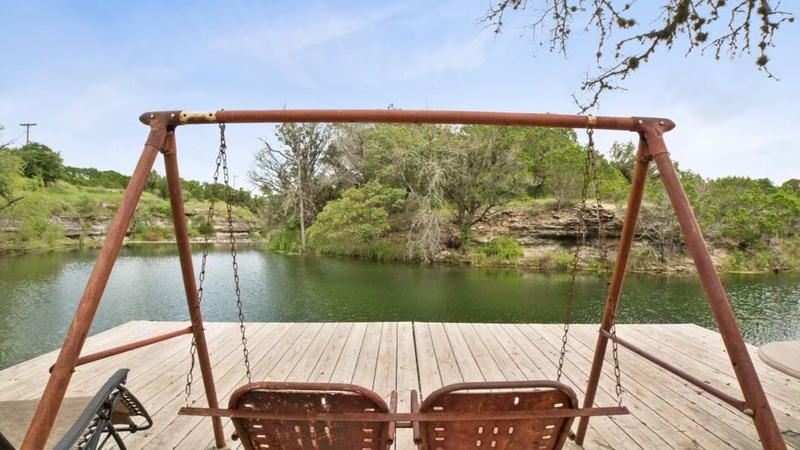 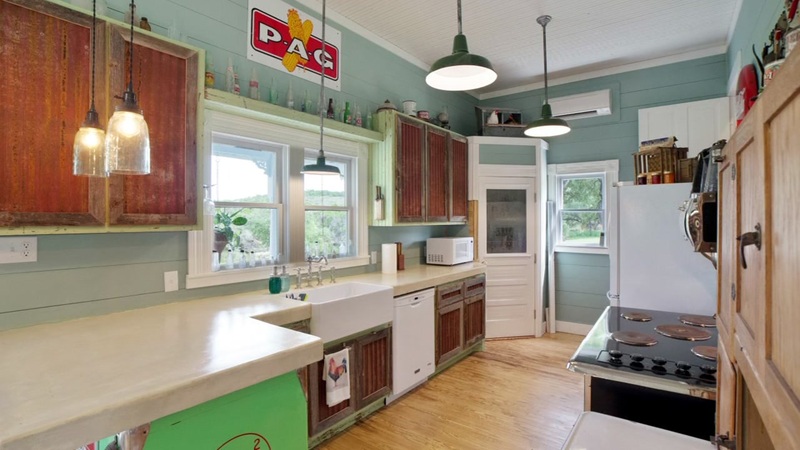 Just 35 minutes to Downtown Austin and 10 minutes to historic Wimberley, TX.